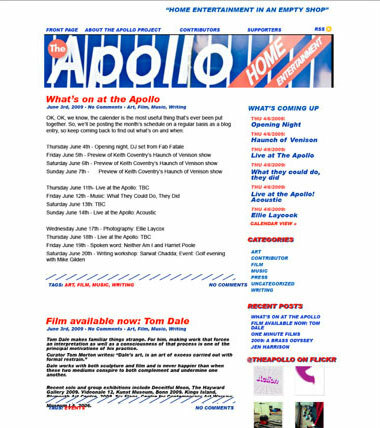 I've been using a combination of Photoshop, Illustrator and more recently Omnigraffle to design web sites since 1996. Some of the more recent work examples are included here. 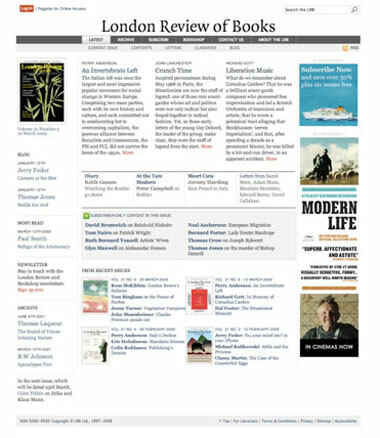 I've worked with the LRB since 2003. 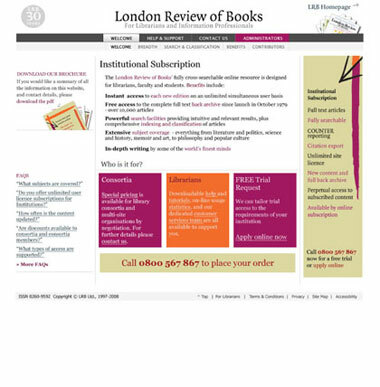 This latest incarnation of the web site features full access to 30 years' worth of writing for subscribers, and an enhanced search facility using SOLR. I'd also like to thank Phil Gyford for building the CSS framework and prototyping many of the key pages on the site. A Microsite for the LRB to explain Institutional Subscriptions. 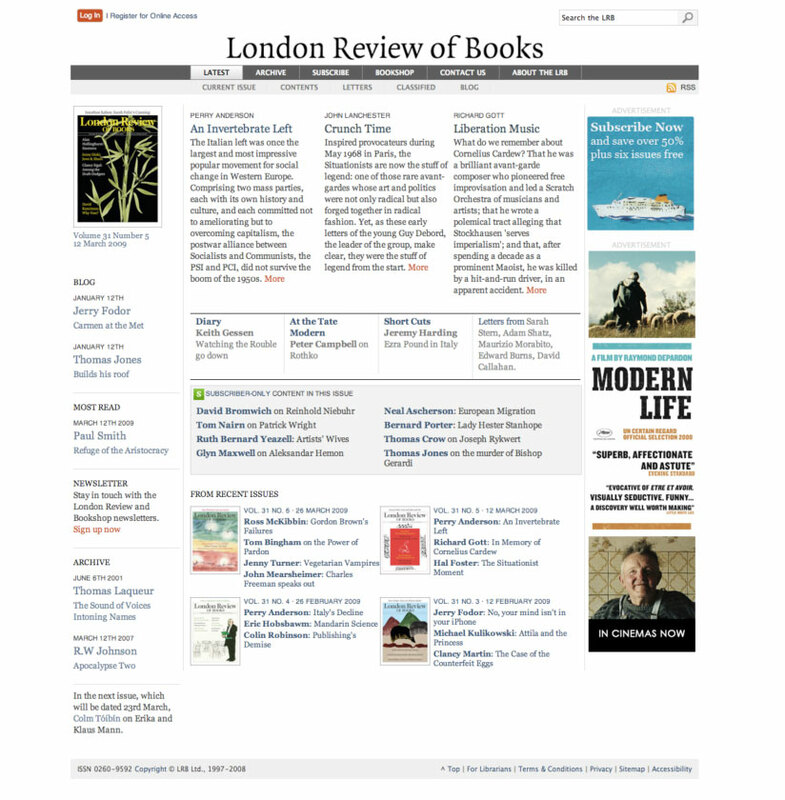 Custom Wordpress design and templates for the London Review of Books Blog. 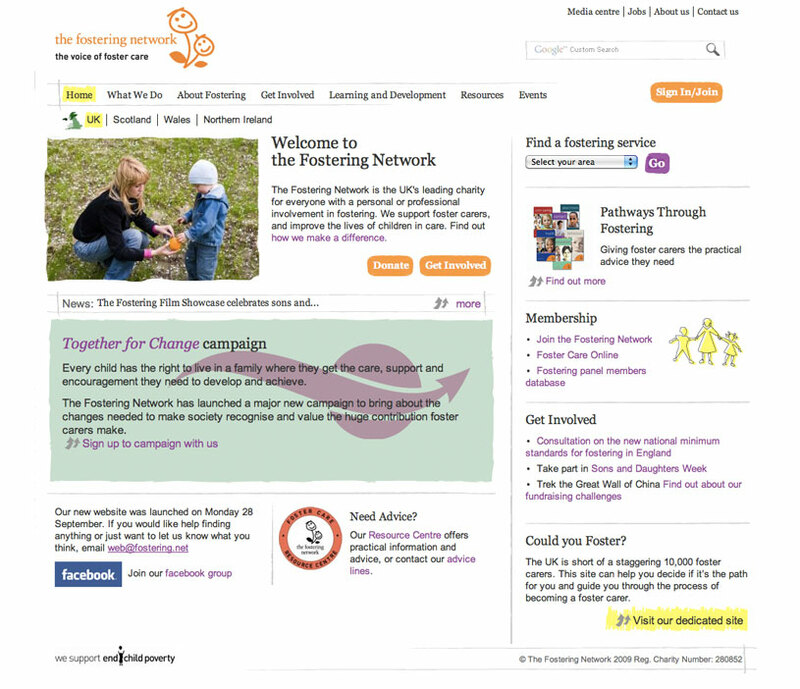 The fostering network wanted to develop a new site that was clean, informal and avoided the clich�s of blocky web design. 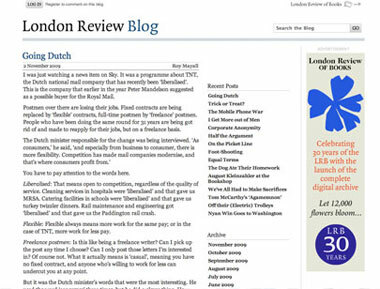 I worked with them to create a 'hand-drawn' feel and introduce a magazine-style layout that would make their content more accessible to members and other visitors. This exhibition was held at the Slade Institute in September 2009. 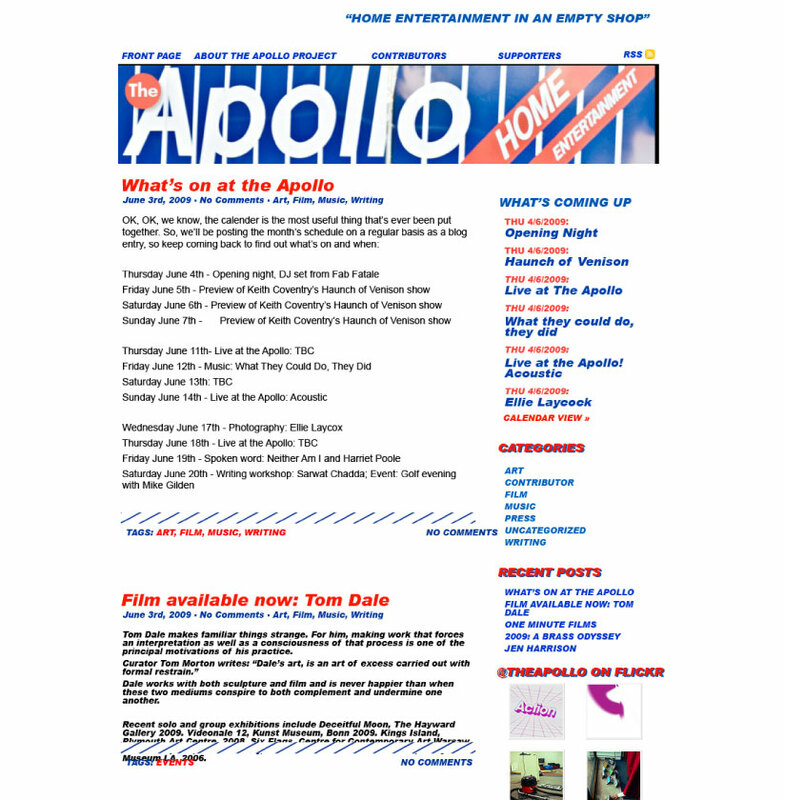 I created an online identity, site design and custom wordpress theme which incorporated a mailing list manager and events roster. 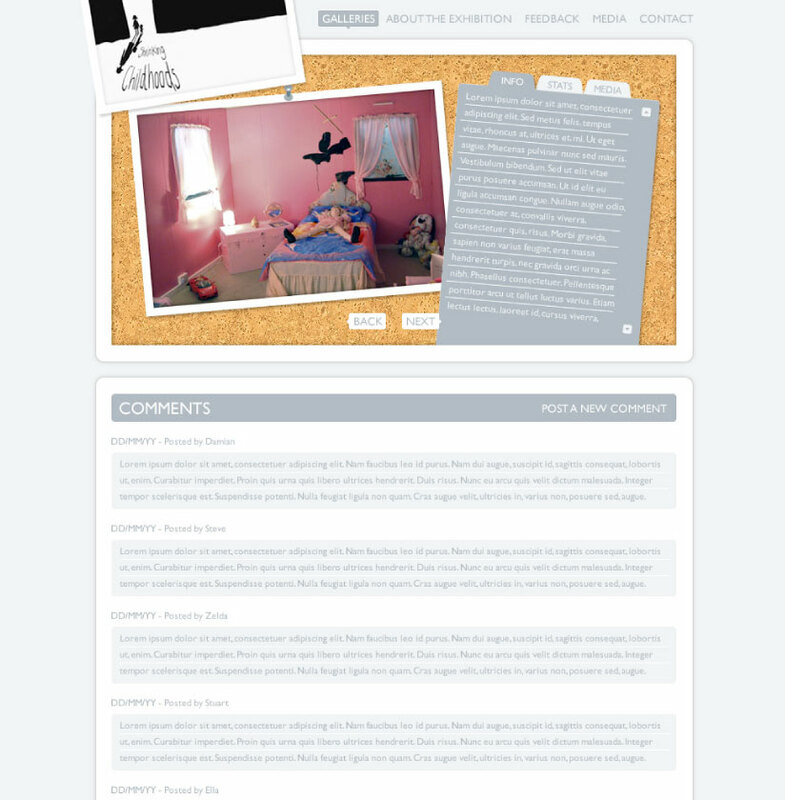 Live entertainment in an empty shop - this gonzo design project involved custom wordpress templates and was designed and built in 2 days. 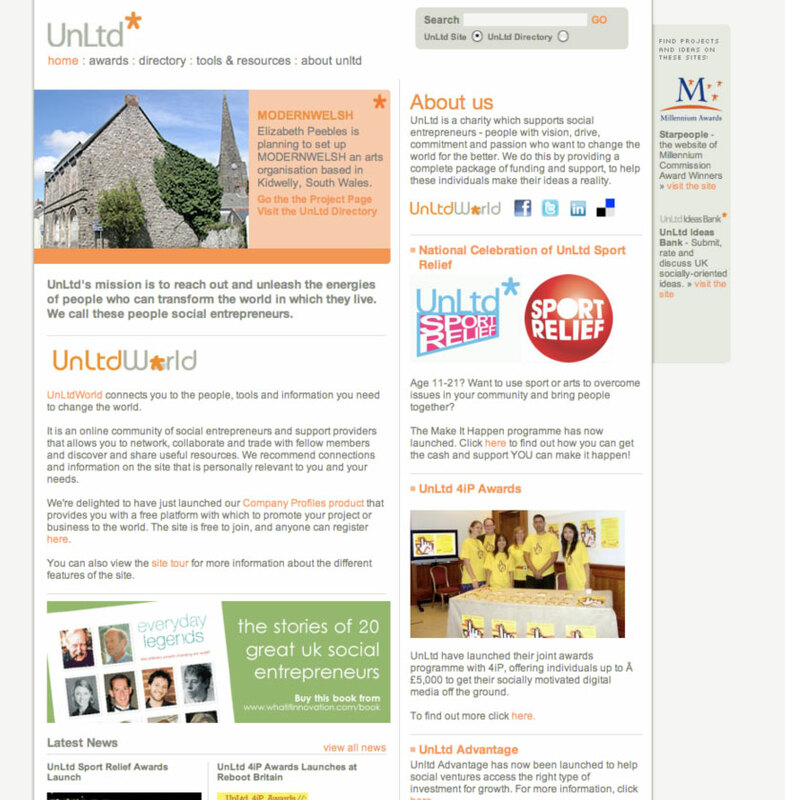 I worked with UnLtd for a number of years to develop their online identity, strategy, and website. The site was designed and built on a custom CMS that allowed them to provide a fully personalised experience for site members as well as managing a directory and extranet. Kids Company put on this exhibition at the Tate Modern in 200. 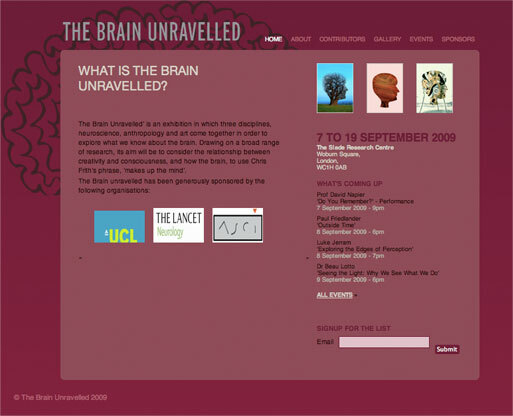 The website supported the exhibition, whilst also giving artists and visitors a space to discuss the work. 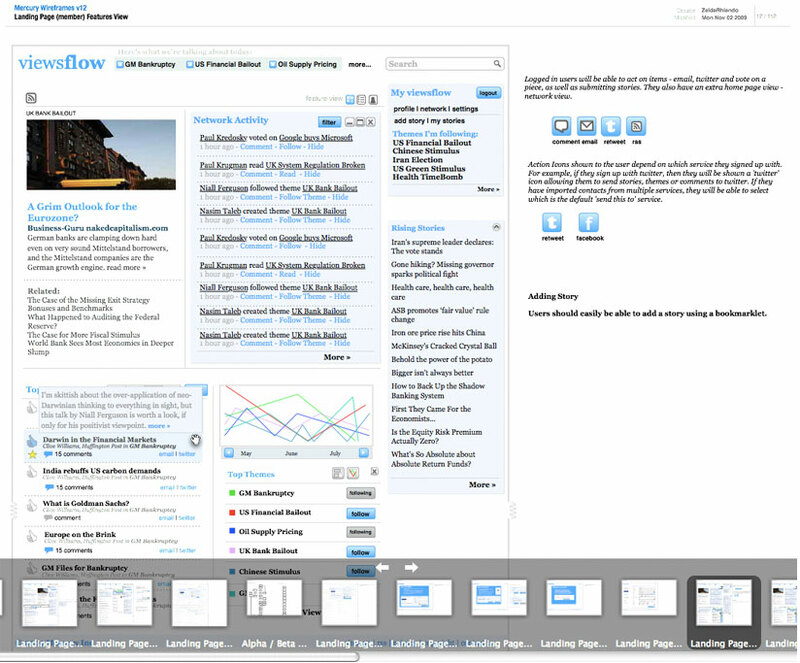 Viewsflow approached me to help define their feature list and user experience. 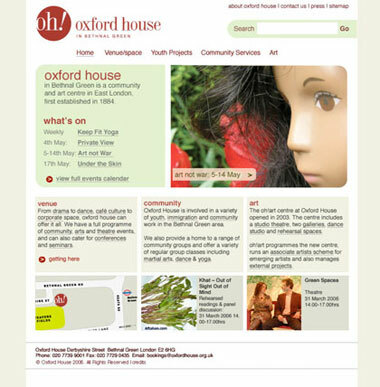 I carried out a scoping exercise before developing a full set of high-resolution wireframes and an interaction prototype. 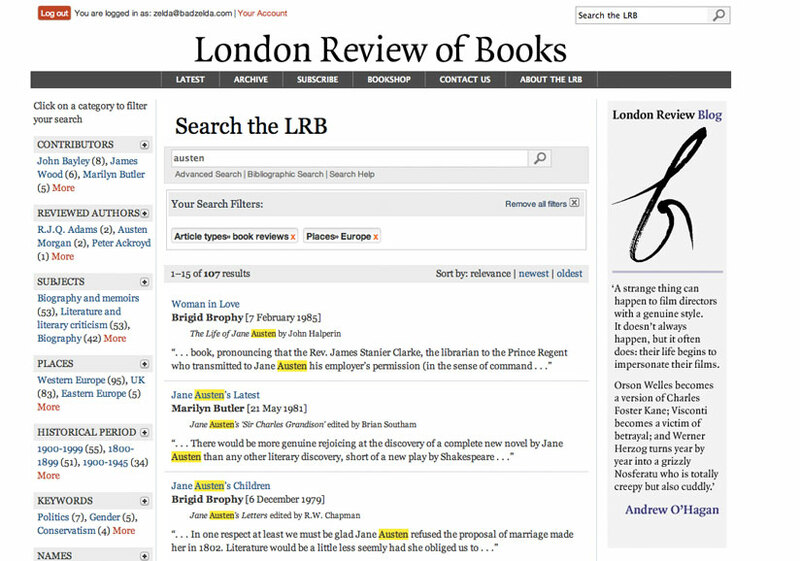 @jason_pontin via twitter: While I prefer @nybooks, the London Review of Books has the most modern and social site of all the literary journals... LRB.co.uk is really well done. The design is elegant, functional, simple. 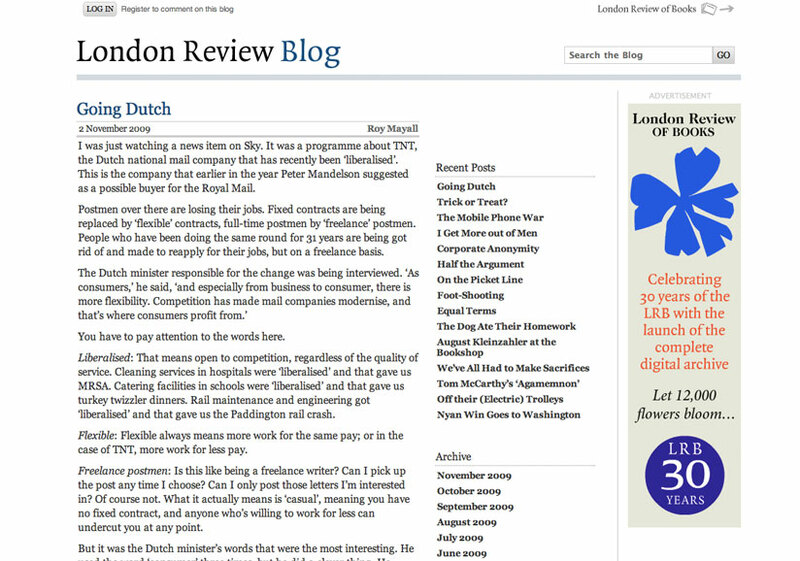 Rick Poynor in Design Week: Best of all, though, is the London Review of Books site. 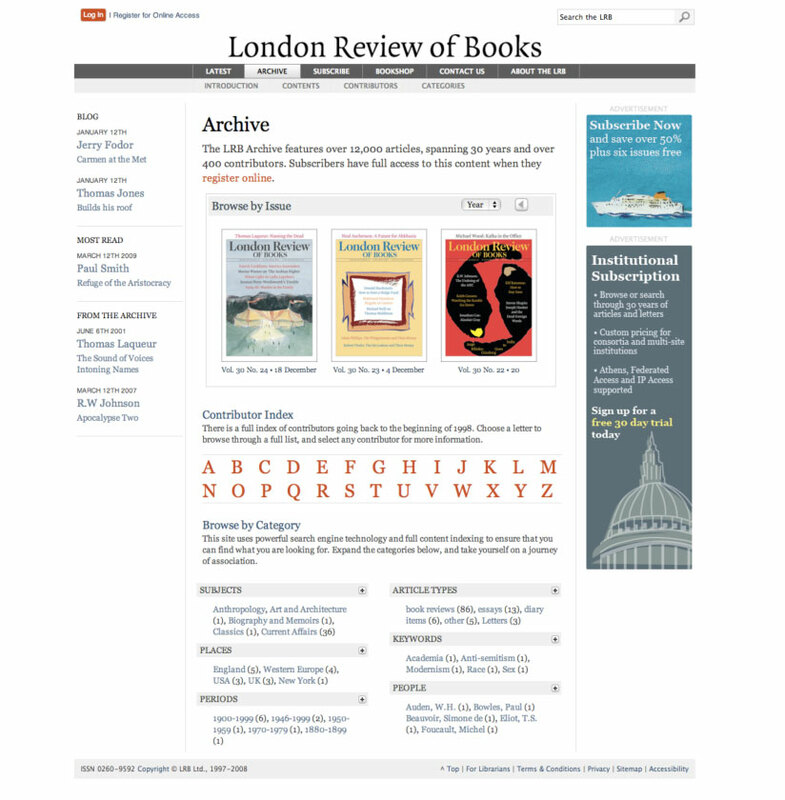 The central text column is framed by two discreet rules and the typography is so well balanced that even long paragraphs are negotiable...The LRB archive, with more than 12 000 pieces, is superbly searchable, and the site delicately reinforces the poise and ethos of the printed magazine. THE FOSTERING NETWORK - Supporting foster care. ASC ARTISTS - Gallery Space in Granville Arcade, Brixton Village.